We’re so proud to be a stockist of Coco Pzazz chocolate (made right here in Wales!) and we were very excited when we found out they were doing a special Christmas range of their fantastic giant chocolate buttons! A great token gift or stocking filler for all ages, available in Christmas Caramel, Christmas Spice, Lemon & Nutmeg and Mulled Wine flavours. These little bag holders come in lots of fun designs and are super useful (and kind to the environment too!). 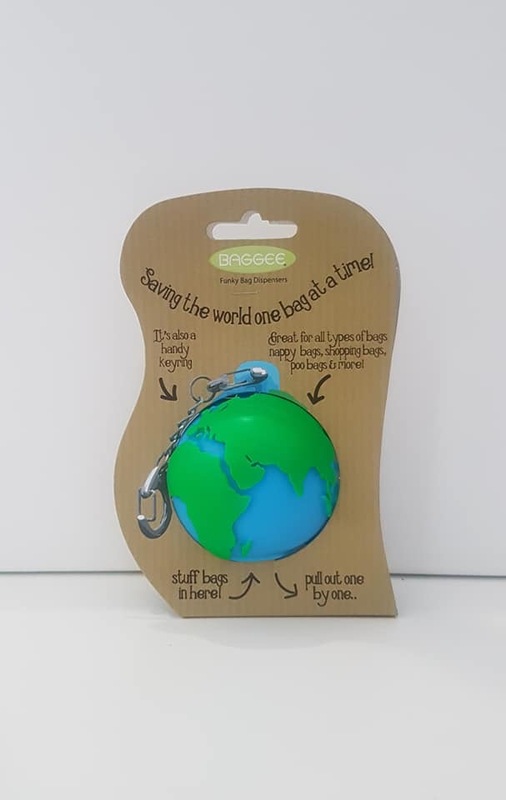 Suitable for carrier bags or pet poop bags, fill them up and use the keyring attachment to fit them to your keys or bag so you’ll never be stuck without them when you’re on the go. These red and white candy striped paper straws would make an eye catching addition to your festive drink of choice this season! Each one has a bow and tiny jingle bell attached and come in packs of 10. 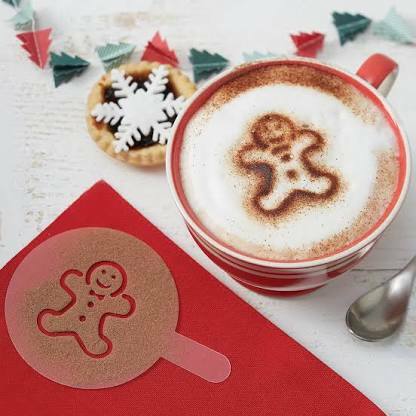 Get cosy this Christmas with your favourite coffee or hot chocolate and make them extra special with these cute hot chocolate stencils. 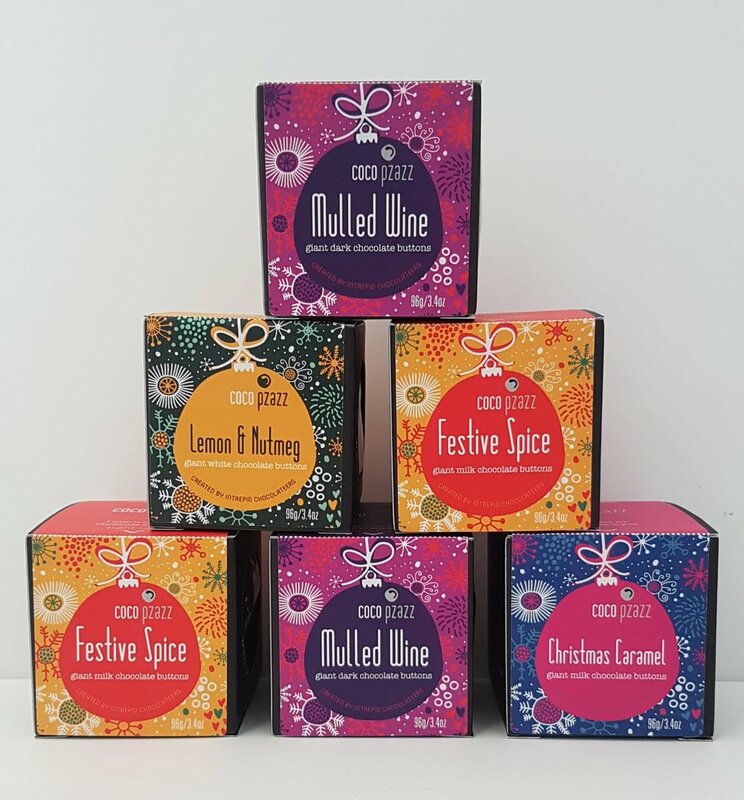 Each pack contains 6 designs to give your drink a gorgeous festive finish. This clever gift contains a 28 piece puzzle, with moving parts and a wind up engine! No scissors or glue required, just follow the simple, click together instructions. Suitable for ages 6 and up. As always, we have lots more online and in store so have a browse or pop in for a visit! If you live locally, don’t forget that the Penarth late night shopping event is happening this Wednesday, 5th December, so we’ll be open until 8pm, alongside lots of other amazing independent shops in our lovely town! How is it December next week?! Eeeek! If you’re like me and you’ve still got lots of Christmas shopping to do, why not check out these gift ideas for women to hopefully give you some inspiration! Happy shopping! Let’s kick start the list with this gorgeous cocktail shaker. 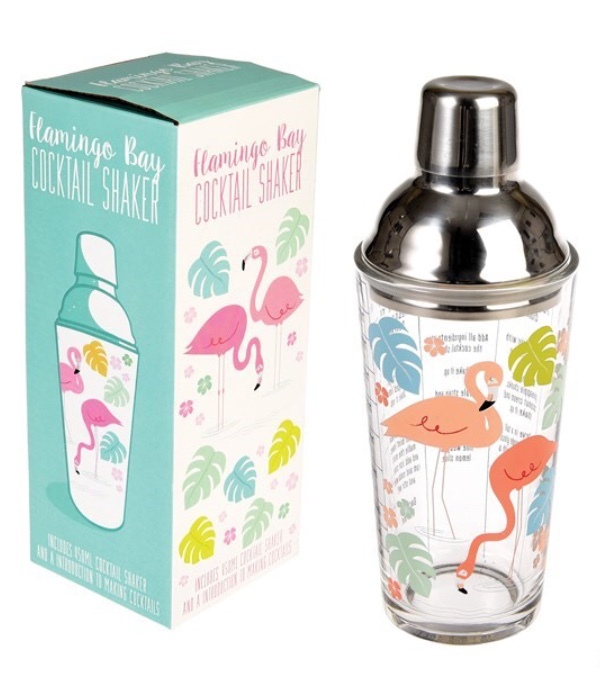 Perfect for making a favourite festive tipple, this shaker comes complete with volume markings and cosmopolitan, mojito and pina colada recipes - yum! These bracelets carry a sweet sentiment with them - make a wish, tie on the bracelet, when the thread wears thin and breaks away, you wish will come true, so they say. A lovely gift for girls or women of all ages. These Cole & Co soaps are handmade in Wales - they smell heavenly and come in the most beautiful packaging. They produce a wide variety of toiletries and home fragrances so why not pop in store to see the other products that we carry, including room diffusers and candles from the Lan y Mor range. One of our best sellers of this year, these feather pens are an ideal gift for a stationery lover! Another local brand that we are so proud to be a stockist for, Anna Palamar Designs make exquisite hand poured candles which are truly unique as each jar is individually hand painted and wrapped in screen printed designer fabric. A cute present for a baby bear to give to their mummy this Christmas, this mini trinket dish is adorable! These festive chocolate bars are made by the fabulous Creighton’s Chocolatier who specialise in fun flavours and colourful packaging, like this Trifly Scrumptious bar - white chocolate with custard, fruit jelly and sprinkles on the top! A great gift to partner up with our cocktail shaker, these funky drink mixes will help you to make your favourite cocktail in no time this Christmas. Available in Mulled Wine, Strawberry Mojito, Cosmopolitan and Pink Flamingo varieties - simply add alcohol and enjoy! These Christmas mugs are so pretty, with a beautiful gold finish, the photo doesn’t even do it justice! Also available in It’s the Most Wonderful Time of the Year design - selling fast! These cheeky heart purses would make a fab stocking filler gift! Also available in black with ‘The Economy Needs Me’ slogan.